On a Sabbath Jesus was teaching in one of the synagogues, and a woman was there who had been crippled by a spirit for eighteen years. She was bent over and could not straighten up at all. When Jesus saw her, he called her forward and said to her, “Woman, you are set free from your infirmity.” Then he put his hands on her, and immediately she straightened up and praised God. Indignant because Jesus had healed on the Sabbath, the synagogue leader said to the people, “There are six days for work. So come and be healed on those days, not on the Sabbath.” The Lord answered him, “You hypocrites! Doesn’t each of you on the Sabbath untie your ox or donkey from the stall and lead it out to give it water? Then should not this woman, a daughter of Abraham, whom Satan has kept bound for eighteen long years, be set free on the Sabbath day from what bound her?” When he said this, all his opponents were humiliated, but the people were delighted with all the wonderful things he was doing. 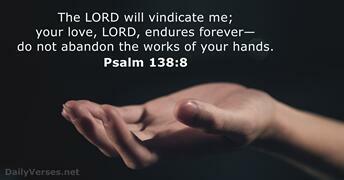 I am the Lord your God; follow my decrees and be careful to keep my laws. Keep my Sabbaths holy, that they may be a sign between us. Then you will know that I am the Lord your God. Remember that you were slaves in Egypt and that the Lord your God brought you out of there with a mighty hand and an outstretched arm. Therefore the Lord your God has commanded you to observe the Sabbath day. 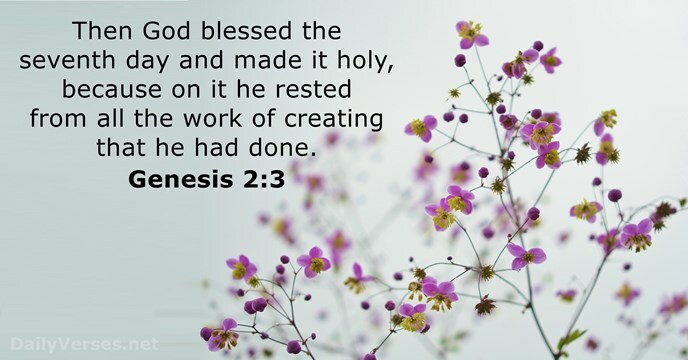 There remains, then, a Sabbath-rest for the people of God; for anyone who enters God’s rest also rests from their works, just as God did from his. Let us, therefore, make every effort to enter that rest, so that no one will perish by following their example of disobedience. Observe my Sabbaths and have reverence for my sanctuary. I am the Lord.